The company was organized in 1973 as a Manufacturer's Representative under the name Metcalf Associates. In 1992 the founder retired, opening the door for employees to get involved with company ownership. There are presently three owners whose seniority ranges from 1987 through 1989. In 1996, the company name was changed to North East Technical Sales to better represent our primary function and territory coverage. We represent manufacturers offering instrumentation for measurement, analysis and control as well as valves and other mechanical items. These products range from small items to large capital goods and intricate systems. We serve as an exclusive representative for most of our Principals. We also are a non-exclusive distributor for numerous principals with the ability to inventory products. Originally, the company primarily serviced industrial energy related markets. In the late1990’s our business had grown to include all industrial process, commercial, environmental and municipal sectors. More recently, we have become increasingly involved as a supplier to companies involved with the drilling and transportation of shale gas. For over 40 years, North East Technical has provided process controls to the petroleum, chemical, power, and oil / gas transportation industries. We also are also very involved with many other industries including pharmaceutical, mining, metals, food, beverage, glass, plastics and paper. We have been very successful providing products to many OEM’s in the area. Engineering houses are numerous in our territory and we have a solid mix of major corporation's home offices and plants. We provide a full complement of products to the water and waste water markets. Commercially, we concentrate on building energy metering systems. North East employs full time service professionals offering installation, start-up support, maintenance, calibration services, and product training. We are a "hands-on" type company. Our personnel are comfortable on the plant floor, on top of a storage tank or in an office environment. Our coverage area is from southern and metro NY down to Metro DC. We offer sales coverage into the shale market as far west as western PA, Ohio and West Virginia. 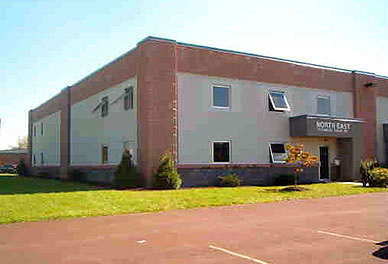 In 2003, we moved to our present location in Harleysville. PA. All of our outside salespeople work from an office in their homes spaced throughout our sales territory. We actively participate in technical organizations such as ISA, ISPE, WEF, AWWA and the AGA. Our people have served as officers in these organizations. We attend monthly meetings, sponsor dinner table-top displays, exhibit at local and regional shows, provide newsletter advertising and instruct classes.